Triangle Design Kitchens is a kitchen and bath studio serving the Triangle area, and we also travel throughout North Carolina, Virginia and South Carolina for selected projects. We've been creating designs that reflect the lifestyles of our many clients while creating value in their homes since 1975. Bill Camp, CKD took over the company from its founders in 1989, and since that time the firm's work has been featured in numerous local, regional and national newspapers, trade publications and shelter magazines, as well as being featured in several national manufacturer's product catalogs. Whether your budget is modest or the sky's the limit, your project will receive the same high level of design expertise and personal service that will make your project as painless and enjoyable as possible, and your new kitchen or bathroom will make you the envy of your friends and neighbors. Triangle Design Kitchens can assist you in transforming the other rooms of your house as well, including your laundry room, home office, wet bar and more. Our reputation for quality and service is unmatched, so please visit our website and make an appointment for your visit to our showroom today. 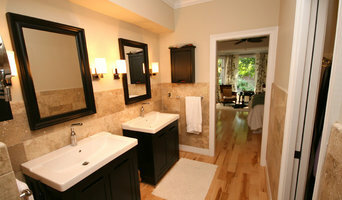 For more than 35 years, Re-Bath® of Raleigh has helped homeowners convert worn, outdated bathrooms into beautiful new bathrooms with quality remodeling services. We believe that a remodel doesn't need to be a messy, expensive headache. Since our inception, we've pioneered an entirely new concept — to quickly and efficiently remodel your bathroom and shower with minimum disruption to you and your home so you can bathe in luxury. SENIOR DESIGNER at KITCHEN & BATH GALLERIES in CHAPEL HILL, NC Kitchen & Bath Galleries provides the design, sales and installation for cabinetry, counter tops, kitchen appliances, hardware and kitchen plumbing. Ellen Brotzman , former owner of The Top Drawer in Cary, NC is now The Cabinet Lady. With fifteen years of experience designing and selling cabinetry, Ellen offers thoughtful designs, flexible hours and affordable prices on quality kitchen cabinetry. Her attention to detail and friendly customer service are unmatched in the industry. We are a Family Owned and Operated Business that lives by total satisfaction of Our Customers! For 33 Years, We have worked in The Coatings Industry throughout the Raleigh/Durham area and in the Eastern and Western parts of NC maintaining High Level Customer Service as well as Preparation to Achieve Top-Quality results. We take pride in the resurfacing, refinishing and regalzing of tile, fiberglass shower kits, porcelain tub and sinks, the Key Ingredient is Preparation which is 85% of any job! Green Tree Custom Kitchen & Baths is a residential building company offering the best in kitchen and bath remodeling services. Our attention to detail, and care by which we handle our clients is what we have built our name on. 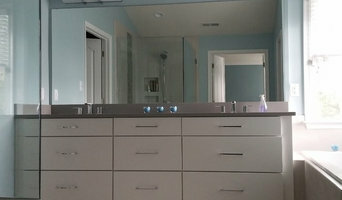 We will be there through the entire process from collaboration with your designer to installation of cabinet hardware. 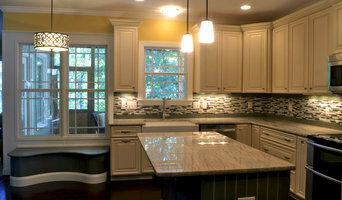 Granite Transformations manufactures the world’s best granite countertops. Give your kitchen or bathroom the gorgeous look it deserves, and without the stress of a messy demolition associated with the installation of ordinary slab granite. Our granite countertops are engineered to outperform ordinary granite because they are non-porous, stain-resistant and virtually maintenance-free. 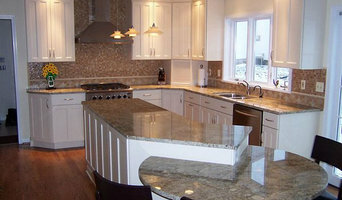 Our granite is perfect for kitchen and bathroom countertops, vanities, tub surrounds, shower walls, floors and fireplaces. Choose from our vast array of granite countertop colors and styles to help decide which would complement your kitchen or bathroom remodeling project. A FREE In-Home Design Consultation from Granite Transformations will help you visualize and achieve your dream kitchen or bathroom remodeling project. Ashley Clarke Designs is a Full Service Boutique Design Studio for Exceptional Kitchen and Bath Remodels and Functionally Beautiful Homes. Careful consideration to quality, creating unique havens, and original design sensibility is our benchmark, because while vanilla is a nice ice cream flavor, it should never be used to describe your home. Design should be fun, and switching up your space invites creativity...so join in and say it out loud "Change is as Good as a Holiday!"